Nothing in life is fair, not bond court and certainly not brain cancer. 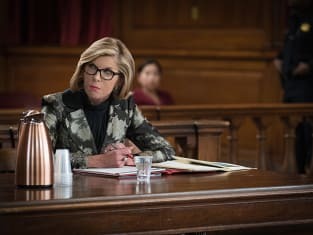 Alicia and Diane both had to face the unfairness of the courtroom in different ways in The Good Wife Season 7 Episode 4. For Diane, it was about taking on a case she didn’t believe in. Could she have passed on it? Of course, but then her firm would have lost its biggest and most lucrative client, and there are lots of people working under Diane who rely on that income. No matter what she decided, someone was going to lose. The thing that disappointed me the most was that Oliver Platt wasn’t back as R.D. He and Diane’s interactions were the highlight of The Good Wife Season 6 and I want to see more. Hopefully we’ll get that in the coming weeks but for now we had R.D.’s stand in, Ethan. 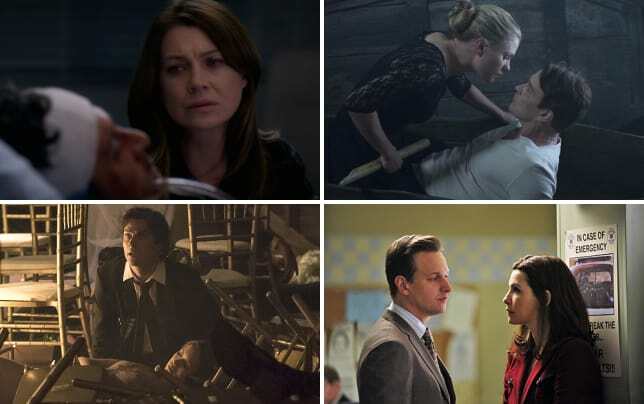 The case concerning physician’s assisted suicide was one of those issues that The Good Wife does so well when it showcases both sides of a complex issue. Although I thought they did an admirable job in this case, I’m not sure it was quite as good as the abortion or gay rights episodes from the past. Still, there were some good points made and questions asked. It hadn’t even occurred to me that malpractice rates could be used as a deterrent to doctors performing euthanasia. And should we make it easier for the terminally ill to die or easier for them to manage their pain, or as Diane asked, why not both? Over in bond court while Alicia’s colleagues were playing Perps by the Pound (which was wrong on so many levels and yet perversely funny), she was fighting for an innocent woman. I’ve enjoyed Judge Schakowsky as the no nonsense, pressed for time, ruler of bond court up until this episode. No one should pressure someone to plead guilty if they are committed to pleading innocent. And in this day and age, even if Mia’s record could have been sealed in six months, that’s six months that information would be out there for anyone to find. In the internet age, I don’t think that sealed means very much. Once the information is out there, there’s really no way to put the genie back in the bottle. I’m still not sure what to make of Jason Krause. He’s a good investigator, but he obviously has a troubled past, and it would have been nice if he’d given Alicia a heads up about it before he took the stand. As for Mia, she was faced with either pleading to a crime she didn’t commit or having her own mother arrested. Talk about unfair. The best part was Alicia asking Luca if she wanted to work together outside of bond court. I’d been waiting for that since the beginning of The Good Wife Season 7. Reese Dipple's the reason you're not at the firm. You sway Peter on this bill and Dipple will sprinkle rose petals as you step off the elevator. Alicia likes her freedom, and she's not about to go crawling to Peter for a favor, especially on an issue she doesn't believe in and knowing he'll want something back from her later. Eli tried once again to outsmart Ruth who finally showed how good she was at her job by adeptly handling both Jackie and Grace. I really thought Jackie was going to take Ruth out at the knees, but it appears Eli may have his work cut out for him trying to oust Ruth from the campaign. Check back in later this week to see what our The Good Wife Round Table Team has to say about this episode and then next Sunday for our review of The Good Wife Season 7 Episode 5. 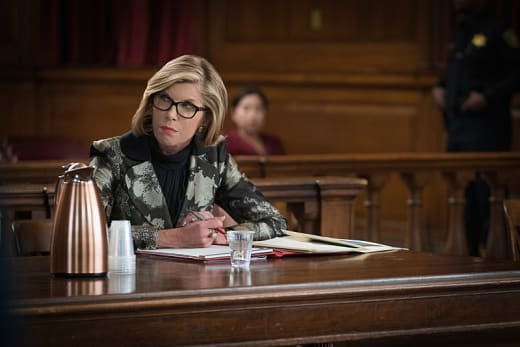 If you can’t wait to see more of Alicia, you can always watch The Good Wife online here at TV Fanatic. Suddenly there's a palace guard wearing a pants suit and cheap shoes. Permalink: Suddenly there's a palace guard wearing a pants suit and cheap shoes. The Good Wife Round Table: Would You Take the Deal?